Mice and rats present a significant challenge for businesses that produce beer, wine, and spirits. While rodents will invade any man-made structure in search of food and harborage, the strong smells that come from these businesses are like a dinner bell being rung. And rodents aren’t disappointed with what they find when they get inside. Rodents love the ingredients used to produce alcohol. But the presence of rodents in any business that bottles or cans liquids can be a serious problem. Stored ingredients can be damaged, products can be contaminated, and the reputation of a business can be permanently tarnished. If you own or manage a business that produces beer, wine, or spirits, here are 5 pro tips that will help you put an end to mice and rats. Before mice and rats get into a business, they are lured in close to the foundation perimeter by smells. For this reason, external trash must be kept in sealed containers and disposed of on a routine basis. If trash is put in a dumpster, the dumpster should be far away from exterior walls. Mice and rats are fond of objects that provide cover or harborage. 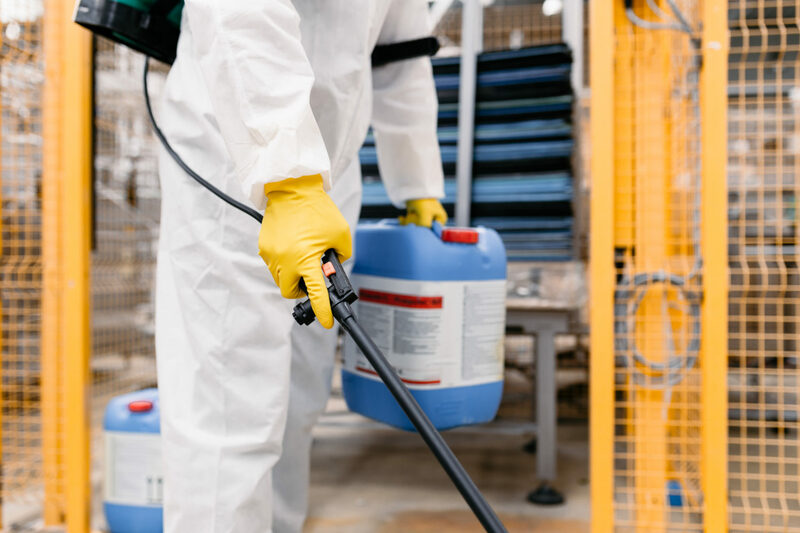 As part of an effective sanitation program, it is important to make sure that all clutter around a business is cleaned up to make rodents feel more exposed as they explore outside walls. The best way to deal with mice and rats is to be proactive. A detailed inspection must be performed to identify vulnerable areas and seal entry points. If there are locations that look as though they’ve been chewed by rodents, metal flashing or some other material should be used to strengthen those spots. If holes exist, they should be filled in or covered by a material that will resist rodents. Mice and rats are resourceful. They can climb up trees and run across branches to get to the roof of a business, so branches should be cut back to prevent this. They can climb up downspouts to get to the roof, so it is a good idea to put metal mesh in downspouts. This allows water to flow out but prevents rodents from climbing up. They dig under porches, decks, loading docks, and other exterior structures. Wire fencing can be used to protect these vulnerable areas. Be sure to put the fencing at least a foot deep. Some rodents are adept at digging tunnels in the soil. 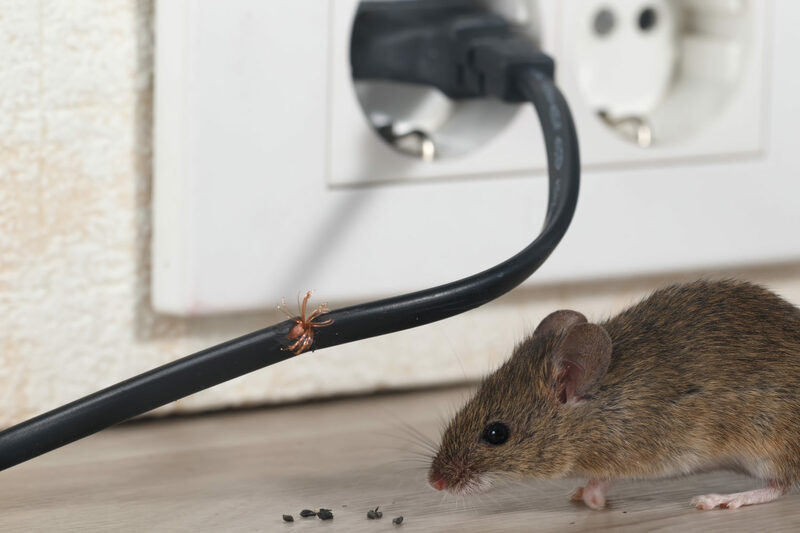 Catching and removing mice and rats once they’ve gotten inside is not effective pest control. It is best to be proactive by placing traps around the exterior of a business. Traps work to reduce rodent populations but are also essential in monitoring rodent pressures. When done by an educated and experienced pest control technician, this method prevents these stealthy pests from getting inside without being noticed. When it comes to protecting a business from rodent threats, it is always best to partner with a Service Professional. A Service Professional is educated in the biology and habitats of rodents and trained in the methods and practices that control them. They can guide you in pest control practices that will help you and your employees make your business less attractive to rodents. And, of course, they can implement a program to detect trouble areas, seal off entry points that give rodents access, monitor rodent pressures, and reduce rodent populations around your foundation perimeter. When this protocol is performed by a highly-trained Service Professional, your business will have the protection it needs to guard against all of the many threats rodents pose.